It is almost there! Friday will be Food Revolution Day, what have you planned to participate? It does not have to be anything big, just a healthy influence: take a picture, share it on social media and add #FRD2014. Done. – Understand where food comes from: We made a small area in the backyard dedicated to a garden, the kids planted vegetables seeds and have been watering it every single day since. – Involve your children in the kitchen; My son made dinner with me, he was really proud of his meat balls, you have to try those with your children! – Cook from scratch as much as you can like this pecan-crustedchicken. 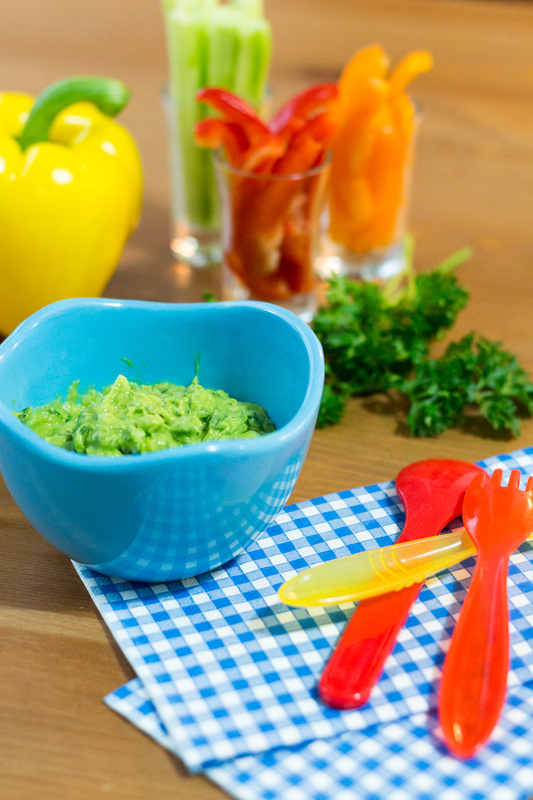 – Teach your children t o make smart healthy snack choices: my son helped my prepare an avocado dip. We all eat with our eyes, we love when it looks pretty, colorful and appetizing. Then do it for your kids! Put in their plate all the color of a rainbow! Maybe not all but you see my point. Toddlers and preschoolers have a tendency to eat with their fingers more than with their forks, so try to prepare little fingers foods. Make them discover all vegetables and fruits that you can find in season. Introduce them to a new food more than once. Always. What do you do in your home? What works for you and what are your tips for the families that have picky eaters at the table? Read the facts on www.foodrevolution.com and be part of the change. A change for our kids! In the meantime, have a seat and enjoy this creamy avocado dip and the crunchy peppers and cucumber! It is the ultimate healthy snack for the kids and the grown-ups! - In a bowl, pour all the ingredients together. 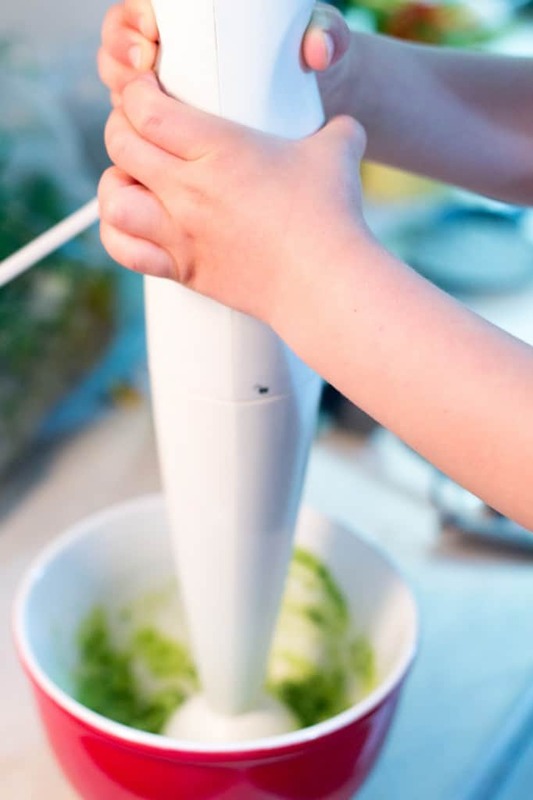 - With a hand-mixer, mix everything together until well blanded and the dip is looking smooth. - Pour in a small bowl and serve with vegetables cut in bâtonnet. If you are preparing this dip for adults, you can add a dash of Tabasco to add a little kick to it!